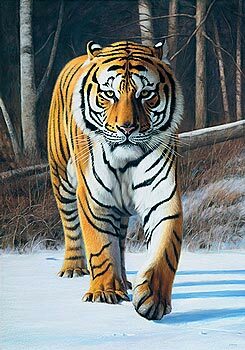 Wildlife art at the Equestrian Gallery. by a selection of the most talented artists in the field. 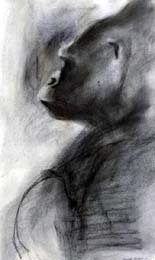 To view all works by an individual artist, please use the search box. 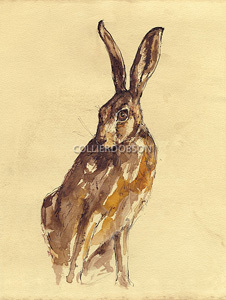 Limited edition prints of British wildlife including foxes, hares and other British animals by a selection of fine printmakers, including Aviva Halter-Hurn, Irene Brierton and Mary Ann Rogers. 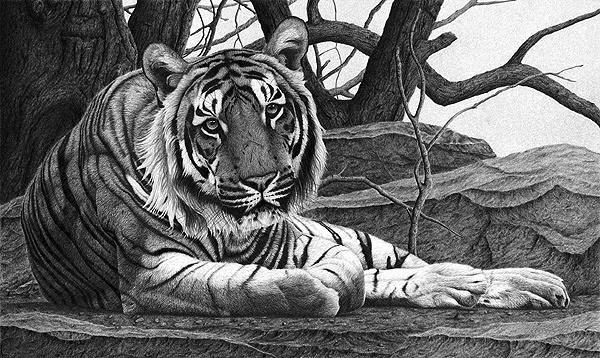 Original drawings in charcoal and mixed media by the highly acclaimed wildlife artist Pascale Rentsch ASWLA. 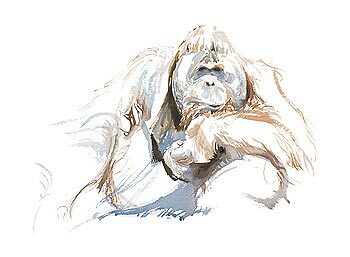 The Great Apes - Orang-Utan, Gorilla and Chimpanzee - as inspiration of some of the most vibrant wildlife art available. 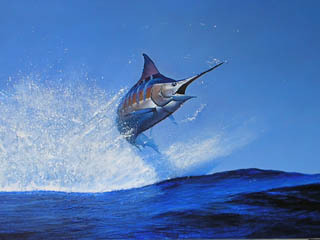 Oil on canvas works by David Mellor, the world's pre-eminent painter of Marlin and Whales. 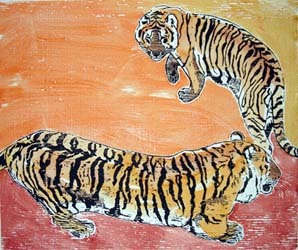 Also featured: Woodcut prints by David Koster - Pike; Trout; Mackerel; Garfish. 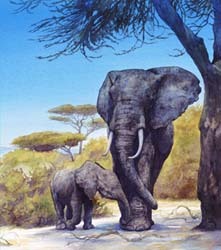 Limited edition prints based upon the artist's meticulous pencil drawings of African and British wildlife.